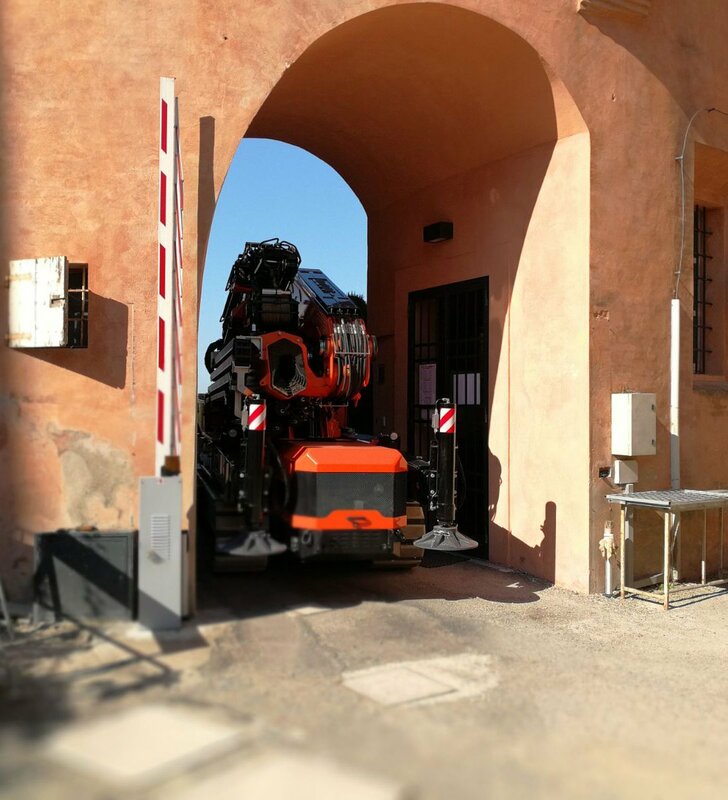 One of the first companies to get a JF545 was “Bendini Autotrasporti” from Marzabotto near Bologna. 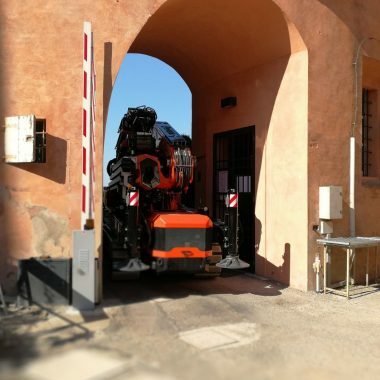 This company was founded in 1979 as a road haulage company. 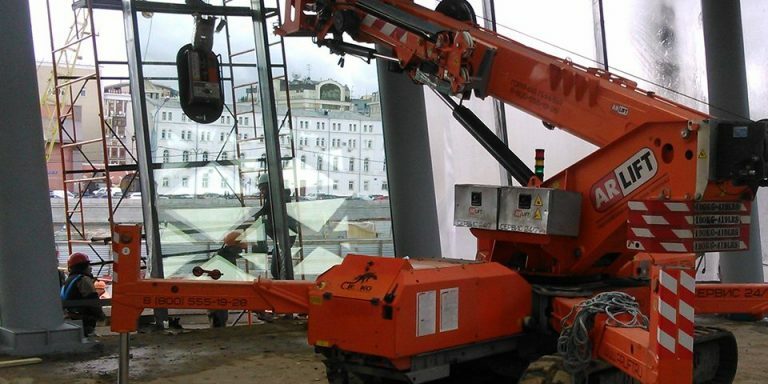 Today, the company also specializes in lifting equipment and hire. 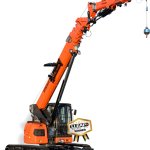 Its customers come mainly from northern Italy and it has a plant fleet of mainly cranes for vehicles, platforms and semitrailers. 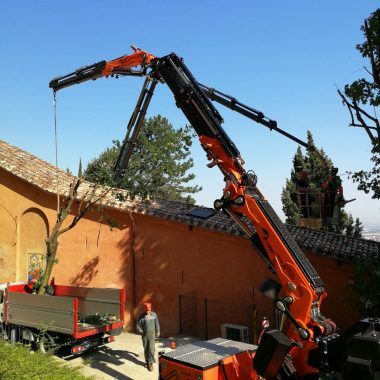 “The basic reason for purchasing a tracked articulated crane”, explains Emanuele Bendini, the son of the founder Pino, who now runs the company alongside his father, “is to extend our fleet with a machine that cannot be compared with any of the others and offers opportunities that are inconceivable with a vehicle-mounted crane. 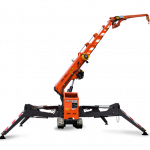 It has given us a keen competitive edge with very encouraging results”. 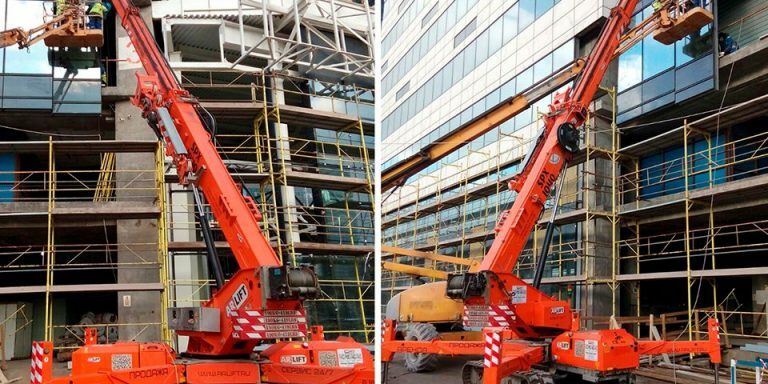 The opportunities are above all logistical. 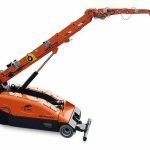 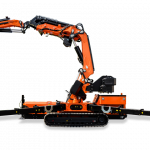 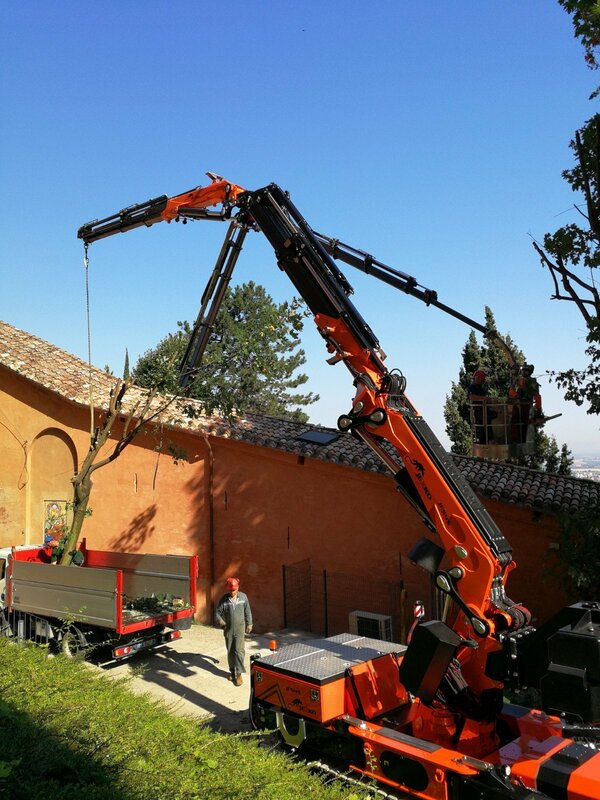 Bendini continues: “We have many vehicle-mounted articulated cranes. 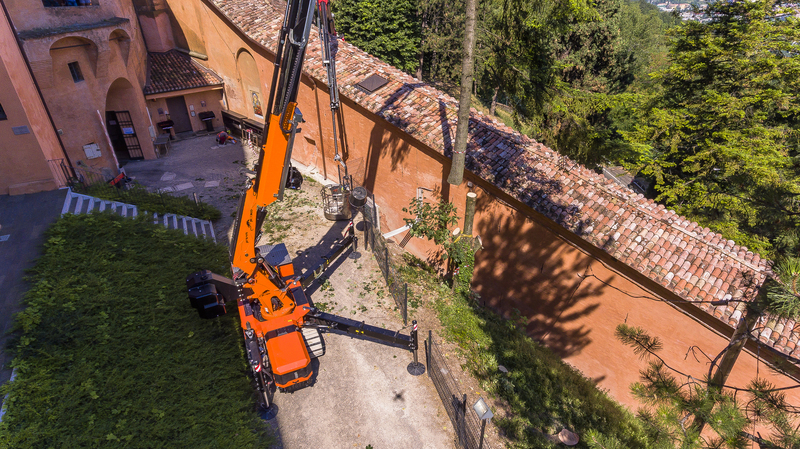 It must be remembered that a vehicle-mounted crane cannot access certain areas but today we have overcome these constraints with the JF545. 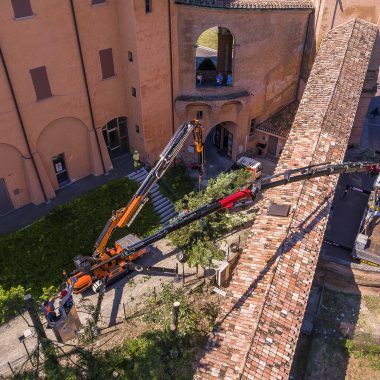 We can now reach areas and spaces we couldn’t think of reaching before. 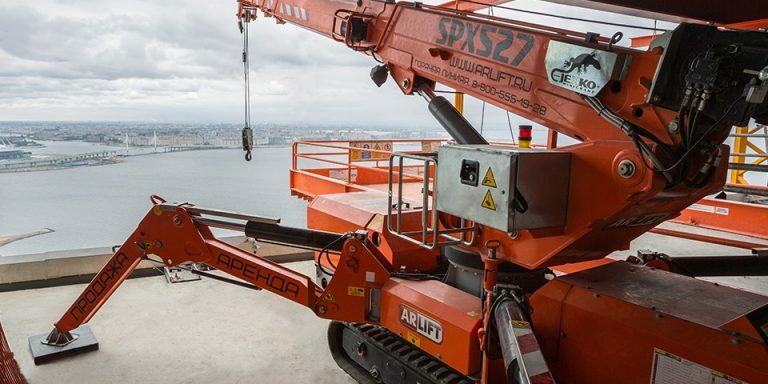 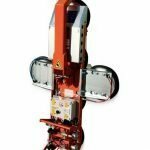 For example, we can access industrial production areas, lift and position machinery directly with the crane. 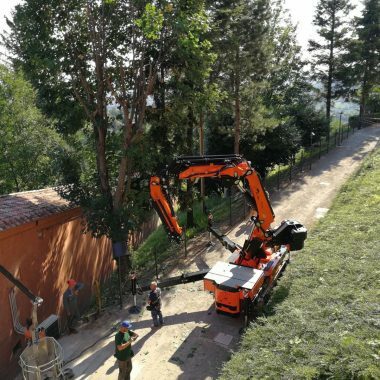 The tracks mustn’t be underestimated either because as we often work in the foothills of the Apennines we have to work in places with height differences and in areas with rough surfaces. 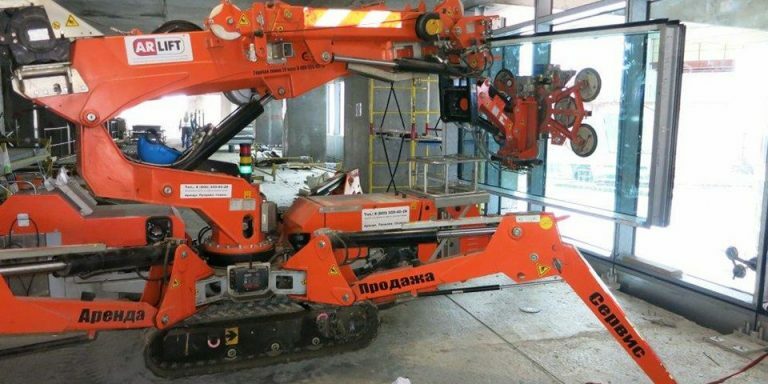 The tracked crane is an advantage in these cases as well”. 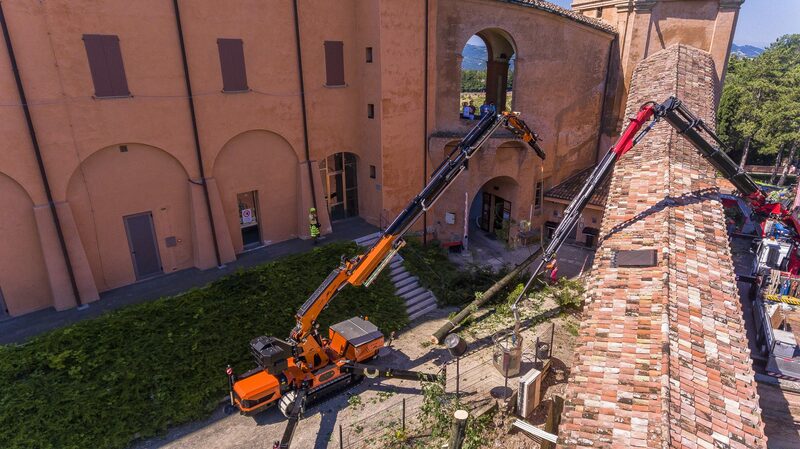 But the advantages of the new JF go further, as Emanuele Bendini stresses: “I’ve used it myself and I’m enthusiastic. 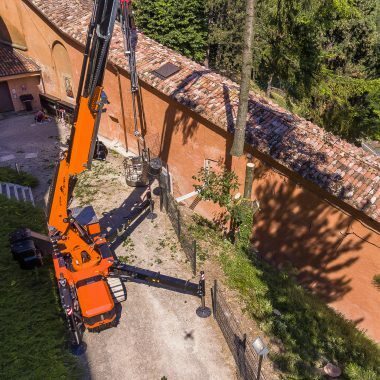 The crane is incredibly versatile, easy to handle and use. 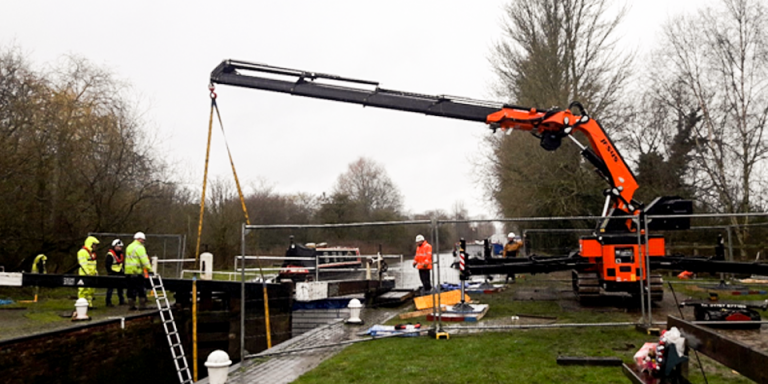 I’m really pleased and the results of these first months have been excellent”. 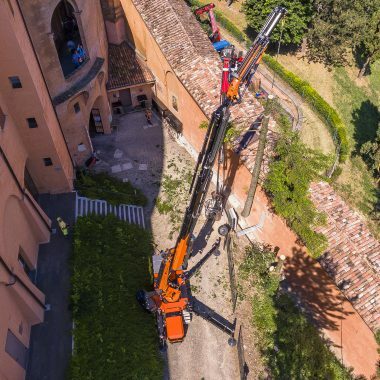 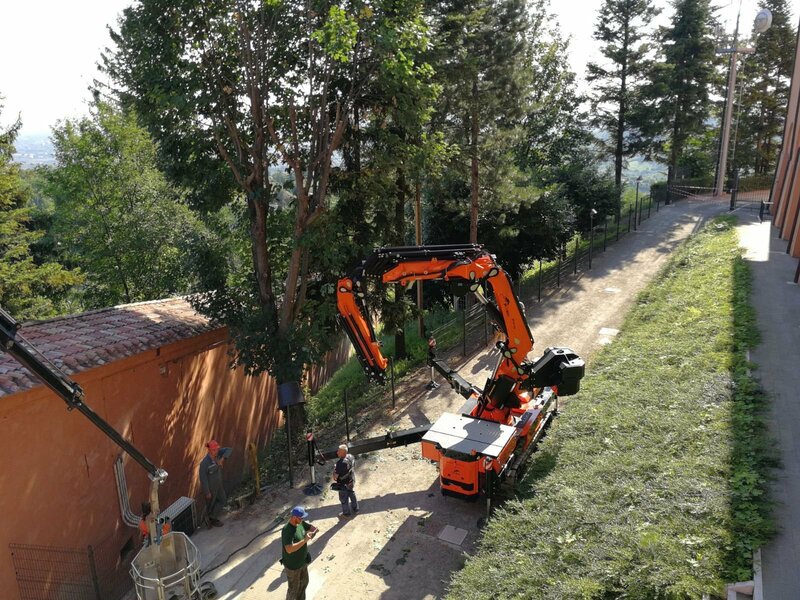 One specific example of added value obtained by using a tracked articulated crane is the way the Bendini company used a JF545 inside the Basilica of the Madonna di San Luca outside the city of Bologna. 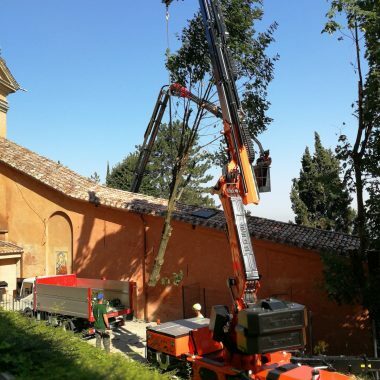 “We regularly prune and cut down trees around the Basilica to maintain its green areas. 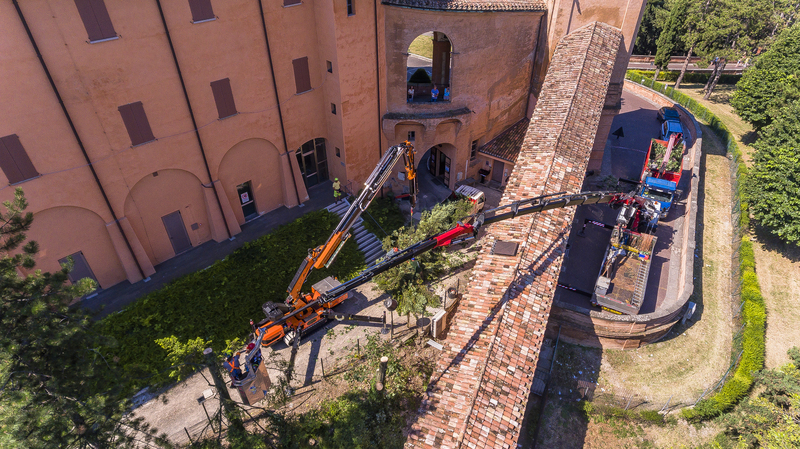 In the past, we had to use climbing specialists to perform these tasks. 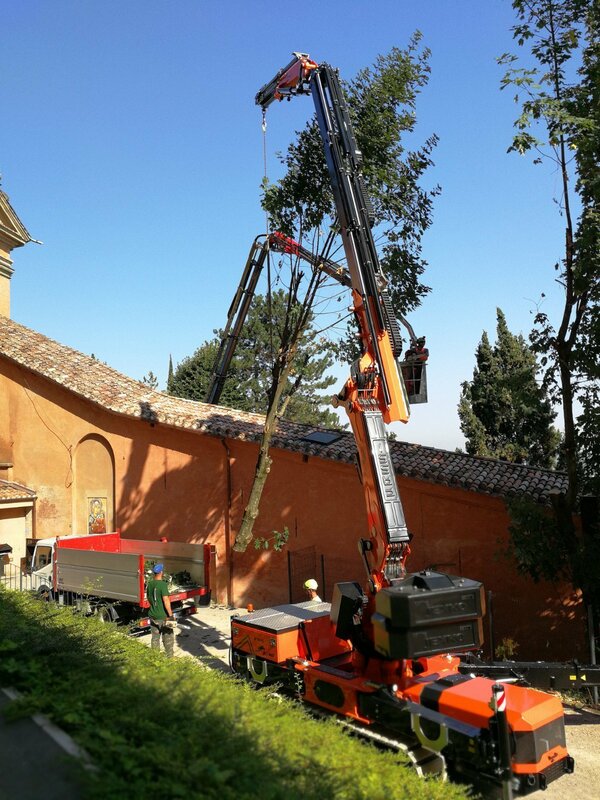 We had to cut and secure all the items. 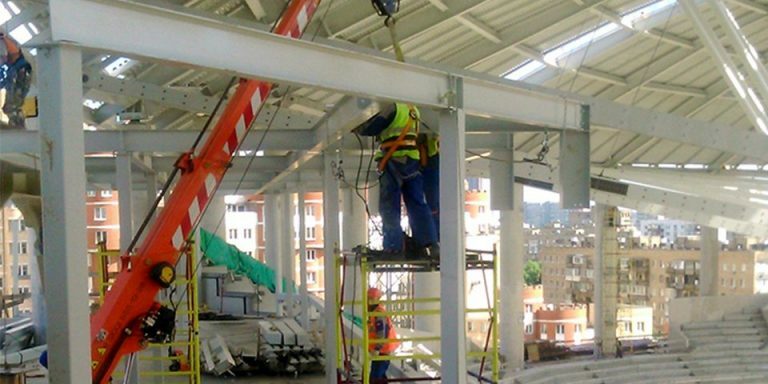 It was a very demanding job in terms of safety, time and costs. 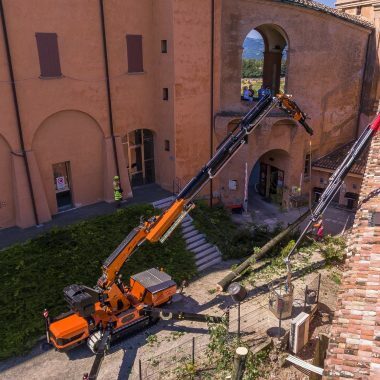 In the past, it took us about a week to perform all these jobs that had to be done at regular intervals. 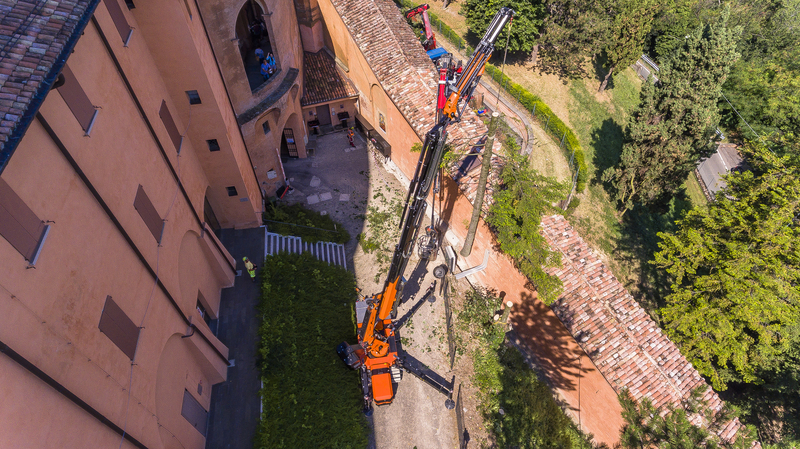 Now, with the JF545, we took less than a day because we were able to access the area directly and then work from the crane baskets”.